Since the recent economic recession, more people are renting homes and less people are buying them. Certain people have been more affected by this shift than others. 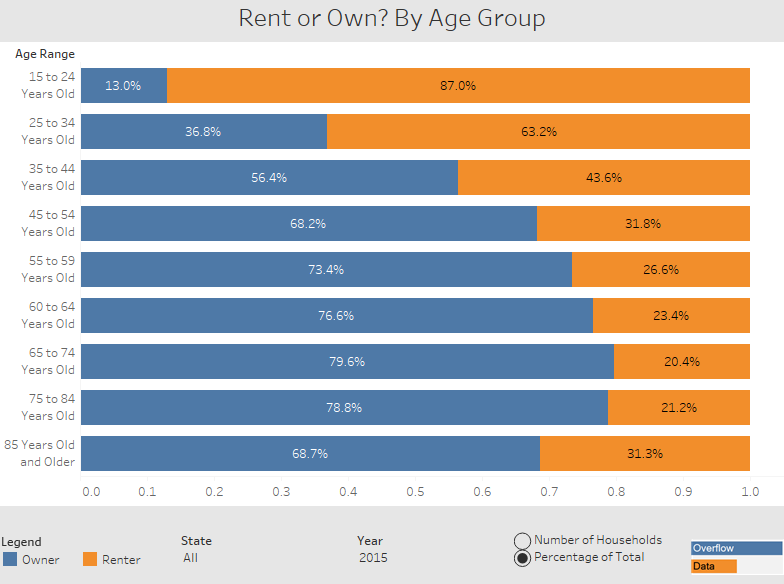 This visualization shows how the age of the person paying for the housing seems to influence whether they own or rent the home. The visualization also lets you look back to 2005 to see how the proportions have changed since then.